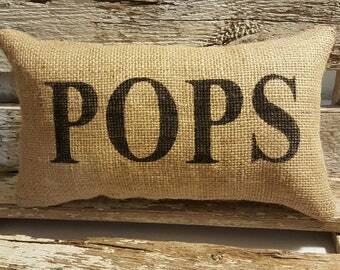 Burlap Nana 11" x 6" Pillow is made with a high quality burlap and lined with cotton muslin. 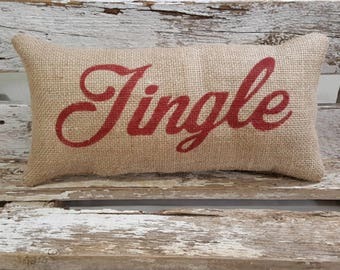 I have lined this pillow so that no white fiberfill shows through your pillow, this gives your pillow a very sturdy feel. Perfect Gift for Mother's Day or Birthday or just to say I Love You Nana! What a cute way to let your Nana know how much you love her, she will feel your love every time she sees this pillow. 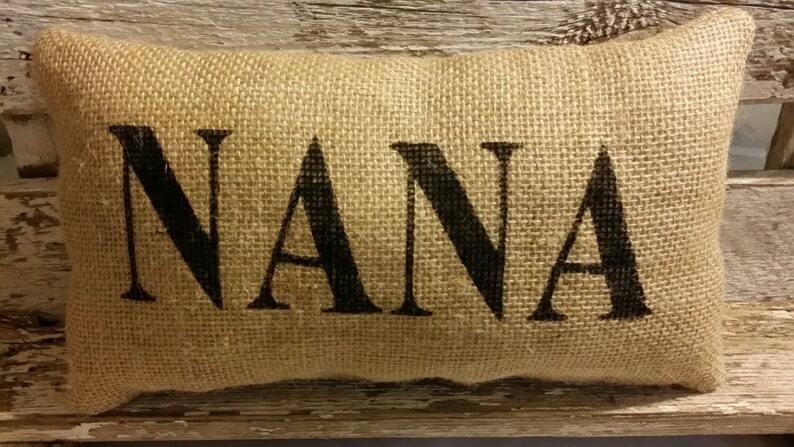 Nana letters are painted black on the front of the pillow.